One of the top questions we receive via YouTube Comments and emails is “where are ______ coolers made?” Now with so many cooler manufacturers jumping into the market, many coolers are made in China. Although some may be quick to jump to a negative conclusion about this, the fact that coolers are now available direct from China, has drastically reduced the price of roto molded coolers. But the biggest question still remains, are coolers from China capable of a solid performance? 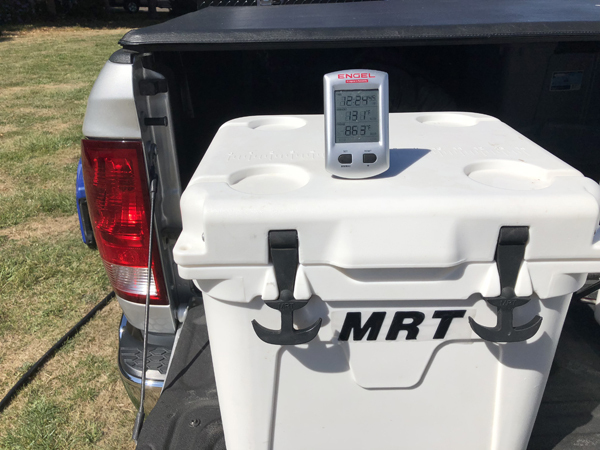 We tested the MRT Martian 22qt cooler. Having already tested many small coolers in the 20-30qt range in the past (USA made and Made In China Coolers) this would be the perfect size to make a comparison. The biggest difference with prior coolers, if they were made in China, is a USA based company is selling them. The difference with MRT is they are direct from China, no middlemen. This lowers the price even more. But does the affordable price point equate to cheaper performance? In our prior small cooler ice challenges, the Grizzly 20qt reigned champion. The Grizzly 20 held ice for just over 4 full days. Therefore we didn’t expect much longer out of the MRT. However, we were quite surprised when the MRT held ice for roughly 5 days. To be fair, we have to put a disclosure on this statement, as the testing conditions in this test were slightly different than our previous test. 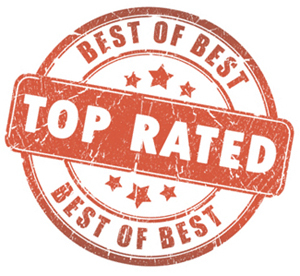 Most of our tests are conducted in the extreme Summer temperatures of Florida. The MRT test was conducted in Oregon. Although afternoon temperatures on the lid of the cooler reached 131°, evening temperatures were lower than we would normally experience in Florida. Even considering this information, to perform 5 days with lid temperatures over 100° is impressive. We also left the MRT in the back of our truck through a majority of testing. This meant that ice/water/beverages were being sloshed around the cooler which is different from our prior test. As if holding ice for 5 days was not impressive enough, the fact that the MRT may be capable of holding ice even longer with the use of built is ice packs adds to the wow factor. Adding a built in ice pack feature is something we have yet to see offered by any cooler manufacturer. We found this to be extremely useful when trying to maximize ice retention & space at the same time. We have already concluded that using ice packs in conjunction with ice helps to prolong the life of ice by about a day. The problem with this is many ice packs take up valuable room inside the cooler. Therefore, using ice packs that fit into the corners of the cooler is the best of both worlds. This adds to the longevity of ice and takes up minimal space. We’ve saved the best selling point of the MRT for last. The Price. For roughly $100 the MRT 22 can be purchased online direct from China. 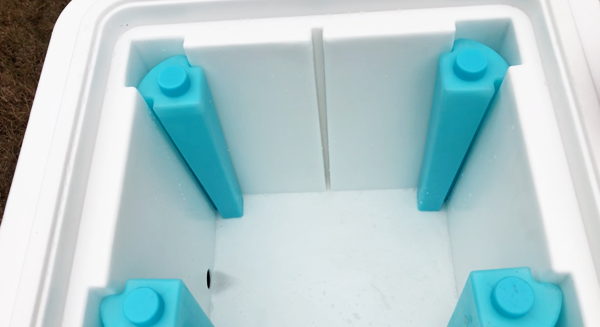 This is among the cheapest roto molded cooler we have reviewed and tested. 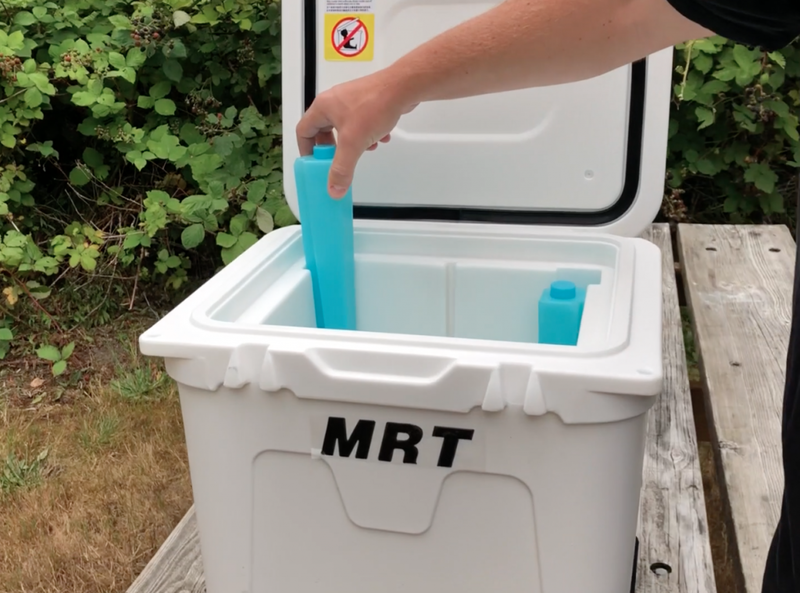 For those looking for an affordable roto molded cooler the MRT is a solid choice. Is This the Coolest Cooler Ever? Where To Buy Pelican Elite Coolers? Coolers On Sale Copyright © 2019.